As dense breast tissue notification laws expand and draw media coverage, the role of molecular breast imaging (MBI) also is drawing more attention in breast cancer detection. New research looking at everything from lesion detection rates to specificity and dose reductions is helping breast imagers define MBI’s place in the rotation of adjunct breast imaging options. Physicians and industry experts alike refer to a comparison between the functional imaging capabilities of MBI and the anatomical imaging aspects of other modalities when considering the benefits of pairing supplemental imaging with mammography. 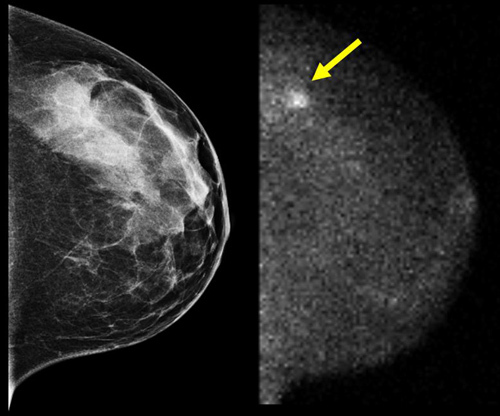 As MBI measures the metabolic activity of breast lesions by utilizing a radiotracer and a high-resolution gamma camera, users say this approach to breast cancer detection allows for more specific and efficient evaluation. MBI users also say this modality is more comfortable for the patient and comes with decreased costs and a reduction in the time necessary for physicians to interpret results. While mammography remains the standard in breast cancer detection, sensitivity decreases in women with dense breast tissue. With more than one-half of women younger than age 50 and one-third of women older than age 50 diagnosed with heterogeneously dense or extremely dense breast tissue, physicians are looking for adjunct imaging to improve sensitivity in women with dense breast tissue. MRI has been a go-to modality for mammography follow-up in women with dense breast tissue due to its improved sensitivity, but MRI’s lower specificity increases false-positives that lead to more imaging and biopsies. 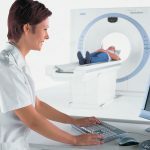 Gamma camera imaging brought with it the promise of greater specificity than MRI. As MBI technology evolves, researchers are improving their ability to gain the specificity improvement with less radiation exposure than a traditional gamma camera. As MBI technology evolves and patients receive less radiation during an exam, advocates believe its use may expand. The publication of new study results is helping to bolster the justification for including MBI modalities as adjuncts to mammography. Most recently, a retrospective study out of George Washington University reports that MBI is an effective adjunct imaging modality for detecting cancer regardless of breast tissue density. The study reviewed the cases of more than 300 patients with biopsy-proven breast cancer who underwent MBI. These patients had varying degrees of dense breast tissue or no density issues at all. MBI was found to have 95% sensitivity in women with and without dense breasts. When looking at ultrasound as an adjunct to mammography in women with dense breast tissue, the researchers note that while it does increase sensitivity, it also substantially increases the false-positive rate. The impact of dense breast tissue on various screening modalities is only one factor under consideration by a multi- disciplinary team of physicians at the Mayo Clinic in Rochester, Minnesota. Led by Michael K. O’Connor, PhD, FAAPM, a professor of medical physics in the department of radiology, the team is researching the newer-generation MBI equipment that allows for lower dose with no significant reduction of sensitivity. As early as 2011, the group found that low-dose MBI (reduced from the “label” recommended dose of 20 mCi to 8 mCi) is just as sensitive as conventional-dose MBI in detecting cancers missed by mammography in dense breast tissue. And the dose is being reduced even further in the Mayo Clinic studies, where O’Connor says the researchers have gone as low as 6.5 mCi. That’s about one-third the dose used in earlier MBI studies, he says, and it greatly reduces radiation concerns surrounding MBI. Shermis’ center evaluates breast tissue density both subjectively and using the Volpara software to identify women who would benefit with additional screening beyond mammography. Weigert also mentions benefits to recently released semi- quantitative analysis examining uptake concentrations and their relationship to how aggressive a cancer may be in that area. In Virginia, one state where radiologists are operating under breast density notification legislation, Jackson W. Kiser, MD, is turning to MBI as an adjunct to mammography, particularly as this demographic of women becomes more aware of the ramifications of dense breast tissue. He and James Crowley, BS, CNMT, molecular imaging and therapy supervisor, use the Dilon Molecular Imaging System with patients at LewisGale Regional Health System, part of HCA Virginia. Kiser says MBI use is good for women with dense breasts who have no other breast cancer risks; he considers it a routine screening tool in such women. He utilizes MRI in women with dense breast tissue who also have other high-risk factors, such as a family history of breast cancer. In the days prior to MBI, Kiser says his team would use ultrasound to target a region in the breast where there was some question following mammography then biopsy the area. For tissue diagnosis, he says surgeons would rely on MRI for staging and to look at the patient’s lymph nodes. Today, Crowley cites an example where utilizing MBI-guided breast biopsy enabled surgeons to pinpoint where to sample, allowing them to correctly identify that area as cancerous. “We see MBI as a great problem-solving tool,” Kiser says. 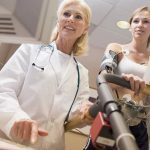 Another potential advantage to MBI’s adoption is the financial impact of purchasing, running, and maintaining new equipment in the current economy and uncertainty created by the Afford- able Care Act. When compared with other modalities, Shermis says MBI is the most cost-effective adjunct to mammography. 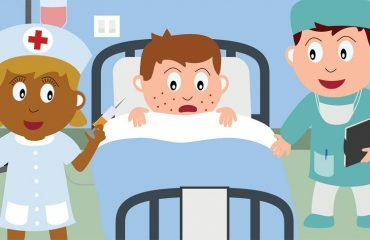 MRI is more expensive, and ultrasound is a high resource drain. With the focus on women’s health care, Calandra says offering MBI can give hospitals an advantage in the marketplace. Part of the decision to offer MBI includes where this modality can fit into an existing practice workflow. 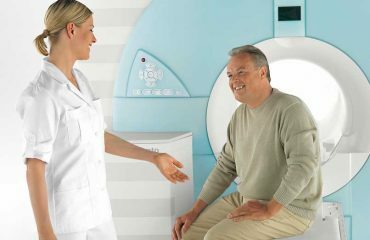 Unlike MRI, Calandra notes that an MBI system does not require construction of a separate facility and is configured in a manner that users are familiar with. “Workflow is no more complicated than going from mammography to ultrasound or mammography to MRI,” he says. 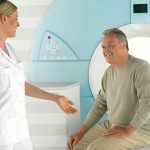 With several studies and clinical trials under way, the goal for radiologists and physicians working in breast imaging is to find what works best, understanding that there may not be just one answer to that question. “It’s about finding the right mix for each situation,” Weigert says. — Kathy Hardy is a freelance writer based in Phoenixville, Pennsylvania. She writes primarily about women’s imaging issues for Radiology Today.